The Milwaukee Goodwill was incorporated on October 6, 1919, with the headquarters located at the Summerfield Methodist Church on East Park Place. Our mission then was "to provide a chance, not charity," to people society had labeled as unemployable, including thousands of soldiers returning from World War I. We responded by creating employment opportunities for veterans with disabilities as well as older workers displaced by the return of younger individuals. The Great Depression of the 1930s caused unemployment rates of 25 percent in Milwaukee County. 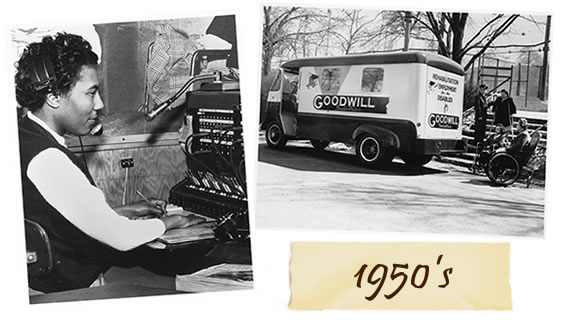 Goodwill's innovation led to a cooperative effort with the Red Cross to distribute food and clothing to 30,000 needy Milwaukee families. 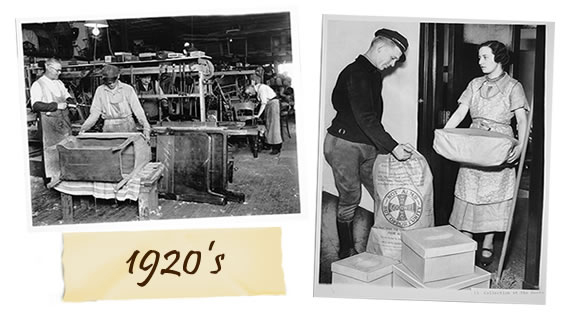 We also served as a temporary employer of hundreds, enabling men and women to provide for their families. 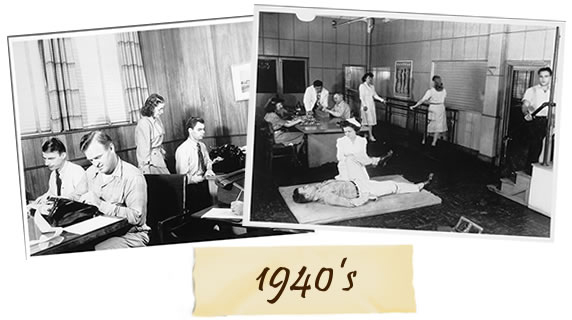 During World War II, Goodwill focused on the growing number of persons with physical disabilities and developed the internationally acclaimed "case management" model that extends personalized service to program participants. Goodwill increased our collaboration with local agencies, expanding services through Jewish Vocational Services and Curative Workshop, to provide on-site psychiatric, occupational and physical therapy services. 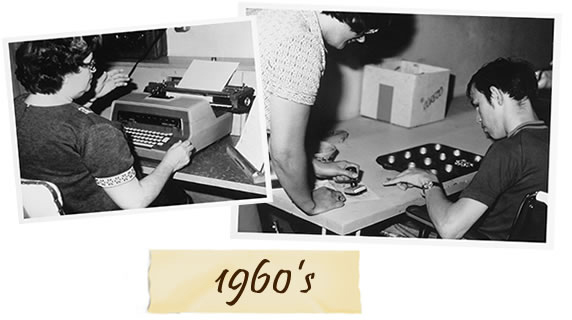 In the early ‘60s, the Goodwill movement expanded in Wisconsin and other sister organizations were formed in Racine, the Fox Valley and Madison, Wisconsin. To respond to the growth in services, a state-of-the-art rehabilitation center was built on the northwest side of Milwaukee. At the time, this facility was the largest freestanding Goodwill building in the nation. Individuals were referred for services from throughout Wisconsin as well as surrounding states. Goodwill created innovative programs, establishing neighborhood campuses to provide work experience and support services for individuals with disabilities. Our laundry services launched in 1974, serving Naval Station Great Lakes and beginning a long-standing relationship with the Navy. Ten additional centers were established for adults and seniors with developmental disabilities, building on the success of community-based services. 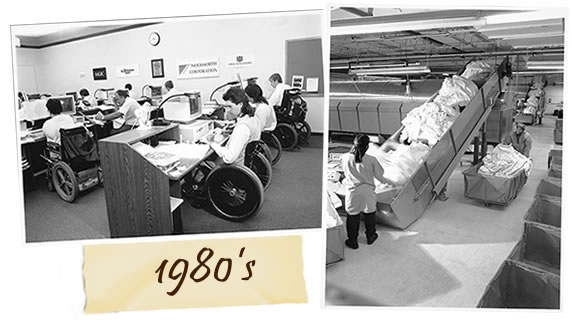 Contributing to that effort, Portal Industries, a rehabilitation facility in Ozaukee County, became a Goodwill affiliate in 1986. John L. Miller promoted to President in 1982 and by 1986 Goodwill Industries of Southeastern Wisconsin has become the largest Goodwill organization in North America. Goodwill identified a growing need for workforce development. The changing urban communities in which we operated prompted us to help launch job centers in Kenosha and Milwaukee Counties. In 1998, we were awarded the largest food service contract under the Javits-Wagner-O’Day (JWOD) Program (now AbilityOne) for the Navy at Naval Station Great Lakes. In 1999, the Goodwill organizations in southeastern Wisconsin and metropolitan Chicago merged. The primary goals of the merger were to increase the number of people served by Goodwill, unify the Goodwill brand throughout the Chicago-Milwaukee corridor and create growth opportunities within the marketplace. Our expansion continued into the next decade with the completion of several major building projects such as the Community Service Center in Waukesha, Wisconsin and many new modern Goodwill Store & Donation Centers. This decade saw the rebranding of Goodwill Store & Donation Centers, positioning them as mainstream retail outlets and attracting a new and expanded customer base. Despite economic uncertainty and high unemployment, Goodwill built program capacity and increased its service levels throughout its territory. This was accomplished by opening several new Goodwill Workforce Connection Centers in Wisconsin and Illinois, to provide free resources and job-search assistance to anyone who comes to us for help. To assist with the growing number of dislocated workers and employers looking for quality staff, Goodwill started its own staffing company called Goodwill TalentBridge. Partnerships with businesses continue to increase as we work to link employers with employees and grow awareness of our social enterprises that can help businesses in a variety of ways from document destruction to commercial laundry and staffing services. We have over 60 Goodwill Store & Donation Centers and they continue to generate funds to help support our mission and employ more people. In addition to our Goodwill Manufacturing facility in Milwaukee, WI we now have a new and improved 156,000 square foot facility in Racine, WI. In 2012 the James O. Wright Center for Work and Training underwent a major renovation, creating brand new space for our Day Services program, as well as a remodeled cafeteria (Café 1919) and kitchen, to accommodate an expanded food services training program, as well as many new and reconfigured offices and work areas. Jacqueline (Jackie) Hallberg succeeds John L. Miller as Goodwill’s next President and CEO in January 2013. 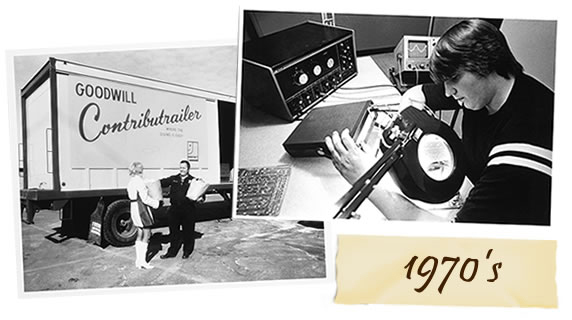 After 35+ years at Goodwill, John L. Miller retires in December 2012. In 2014 Goodwill purchased the former Reiman Publications building in Greendale, WI because we had been searching for a multi-use site located in the southern portion of Milwaukee County. This site allowed us to reach more individuals in fulfilling our mission of training, employment and supportive services for people with disabilities or disadvantages who seek greater independence. The almost 165,000 square-foot building is home to Goodwill Center for Work and Training Center and administrative support services.